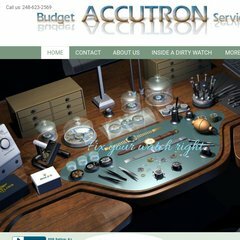 Topics: John Schult, and Watch Case And Band Refinishing. It is hosted by The Endurance International Group Inc (Massachusetts, Burlington,) using Microsoft-IIS/6 web server. ASP.NET is its coding language environment. Its 2 nameservers are ns1.easy-cgi.com, and ns2.easy-cgi.com. PING www. (66.96.143.160) 56(84) bytes of data.